In this case, only users with the “administer menu” permission will see this field rendered. Most business people know how important it is to take advantage of PR opportunities, but few realize just how many opportunities happen in the normal course of business. The list on this page provides an overview of the many good occasions to write and distribute press releases regularly. Drupal Theming is hard enough when it comes to dealing with CSS & browser rendering issues. On the other end, for programmers the code templating process can be powerful and convenient once we get the hang of Drupal’s theming system. The Status Center provides a complete project overview in a single page in order to keep all members up to date with planning, progress and project needs. The status center is designed to look like a paper report so that it is easy to use for anyone affiliated with the project. The project page includes: status overview, expectations for the week, overview of all tasks and milestones with completion percentage, files and resources, as well as important notes and comments. The following code stops Drupal 6 from indexing a node’s taxonomy as part of its content. The code uses hook_nodeapi to alter the node object when it is being built to update the index. At this stage it is possible to add, remove or alter any of the node’s elements. 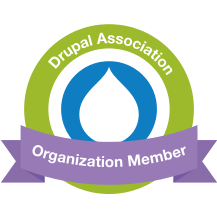 For testing purposes, or for executing Drupal-related operations but from a PHP script that runs outside of Drupal, I often create independent PHP files that are not meant to be Drupal modules but still require access to Drupal’s database, functions and modules. Using the function drupal_bootstrap, located within includes/bootstrap.inc, your script can load Drupal and make all of Drupal’s functionality accessible to your script. This is a simple function that always comes in very handy in debugging and logging PHP code. ExecTime() keeps track of one or more processes, and can round the result up to your desired level of decimal point precision. ExecTime() starts counting the first time you call it, and from that point on it returns the elapsed time every time you call it again. IBM.com offers a series of articles following the IBM Internet Technology Group as the team designs, develops and deploys a community website utilizing the best of Open Source technologies. These articles are meant to offer insight into the development process of complex websites, and offer key comparisons and recommendations as the team describes how and why they decided to use Drupal as the platform of choice for complex web applications. A press release, also known as a news release, is a written statement distributed to the media. A fundamental tool of PR work, a well-written, well-distributed and well-timed press release is not difficult or expensive to produce, yet can be effective for publicizing a scheduled event or calling attention to a range of issues: personnel promotions, awards, news products and services, sales accomplishments, etc.